Control your lights from anywhere in the world. Manage the lights in your home with ease. All you need is a smart device to turn them on and off from anywhere. Control your lights remotely wherever you are. Never worry if you’ve left a light on, or come home to the dark again. Schedule times for your lights to turn on and off. You can even set rooms to light up at different times and make it seem like you’re home when you’re not. Change your morning routine of waking up to a loud alarm and instead feel as though you are waking up to sunlight with gradually increasing light intensity. 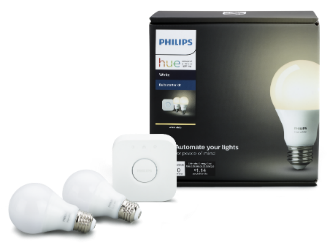 Philips Hue works with Amazon Alexa, Apple HomeKit and Google Home, to allow you to control your lights with your voice. Designed around you, your home and your everyday life. You can now group and control all the lights in your room instantly. This new feature also allows you to change your lighting with Siri voice control. Within each room, set and dim your lights individually for the optimal ambiance. In one glance, you can see which lights are set to what color and brightness. Turn your daily routines into moments you can enjoy. Set light schedules for your day, from the moment you wake up in the morning until you come home in the evening. 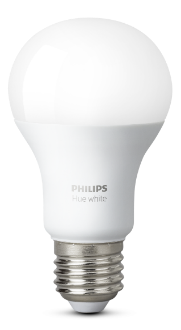 Philips Hue works with most Apple or Android devices. Philips uses very little data but pairs well with a TELUS phone plan. Easily control your lights from your device and create the right ambience for every moment.